You first heard the Vampire Riddim on AJ Brown’s popular new song “Real Rock”, which reached the top Ten on the South Florida Reggae Charts as the bonus track on the cd single “Can’t Tek It”. Now, promotional copies of “Real Rock” and five other tracks are yours for the juggling! The Vampire Riddim got its name from a track on the riddim by up and coming deejay, Zyon High. On a riddim that boasts the talents of Chezidek, Jah Mason, and Luciano among others, it is a serious compliment to have your become its namesake. 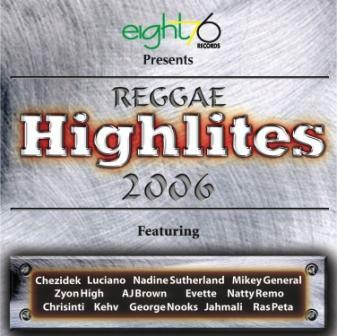 The tracks, all produced by Kenroy “YahBreeze” Archibald and Barry O’Hare, are available for purchase on the hot Eight76 compilation, Reggae Highlites 2006 in stores now including Ernie B, VP Records, FYE, Wherehouse, Sam Goody, Specs, and all leading digital delivery points. All music contained in and associated with this email campaign is the exclusive, copyrighted property of All Arc Enterprises, Inc.- all rights reserved. Any and all commercial duplication or distribution is prohibited by local, federal, international, and universal law.